Beam me up,Scotty...There is no intelligent life on this planet. 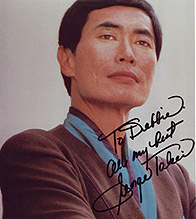 Ahh another nice man, George Takai...Sulu, another great guy from Star Trek. 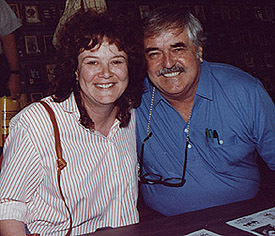 I met him at a SciFi/Star Trek Convention. Have pictures of him also which I will add later. The line was too long therefore no one was allowed to have their photo taken with him.